Caring for self often goes by the wayside when taking care of a family member, especially after an unexpected crash or accident. Only when your needs are met can the person you care for benefit the most. “It’s like what they tell you when you are on an airplane. The first rule is to put on your own oxygen mask before you assist anyone else. That’s because it’s only when we first help ourselves that we can effectively help others,” Brad Parker says. 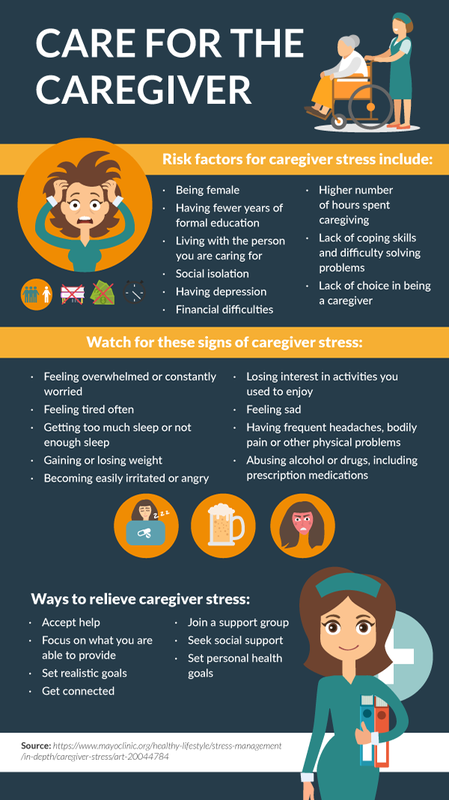 A combination of the physical demands of caregiving, prolonged stress and the biological vulnerabilities that come with aging put caregivers at risk for significant health problems as well as a shortened life span. Common problems among caregivers include poor eating habits, lack of exercise, failure to rest when ill, sleep deprivation, failure to follow through with medical appointments for themselves, depression, obesity and excessive use of alcohol. There are a myriad of advantages for caring for your family member, such as the demonstration of love and commitment. Caring for a loved one can be a rewarding experience, but there can be negative. “In certain instances, caregivers may not have the level of expertise that is required…not to mention the emotional toll it takes,” says Brad, a personal injury attorney in Bedford. Prepare a list of ways that others could help you. For instance, someone could take the person you care for on a short walk a couple of times a week. Your friends could pick up a few items for you at the grocery store. A family member could fill out some insurance papers or pick up a prescription. When you break down the jobs into very simple tasks, it is easier for people to help. Help can come from community resources, family, friends, and professionals. Do not wait until you are overwhelmed and exhausted. Knowing when to ask for help when you need it is a sign of personal strength. It’s essential to take breaks from caregiving to take care of some of your own daily needs. You may have to reach out to trusted friends or family members to take some shifts during the week. During this time, you can run errands, meet up with a friend for dinner or go on a date with your spouse or be free to take a bath or a nap. You shouldn't feel guilty about taking a much-needed break to regenerate. Setting goals or deciding what you would like to accomplish in the next three to six months is an important tool for taking care of yourself. Goals are generally too big to work on all at once. We are more likely to reach a goal if we break it down into smaller action steps. Once you've set a goal, ask yourself, “What steps do I take to reach my goal?” Make an action plan by deciding which step you will take first, and when. A support group can provide validation and encouragement, as well as problem-solving strategies for difficult situations. People in support groups understand what you may be going through. Als,o try to stay well connected with family and friends who offer emotional support. Set aside time each week for connecting, even if it's just a quick phone call with a friend. Exercise solves a whole laundry list of problems. It promotes better sleep, reduces tension and depression, and increases energy and alertness. If finding time for exercise is a problem, incorporate it into your daily activity. Perhaps the care recipient can walk or do stretching exercise with you. If necessary, do frequent short exercises instead of those that require large blocks of time. Try to find activities you enjoy so it isn’t so daunting. Watching your parents become older and ill is difficult enough without also having to balance work, family and finances. There is no better time to begin planning for the future than the present.